The Multiple Sclerosis Clinic diagnoses, treats, and manages (or co-manages with a primary doctor) individuals living with multiple sclerosis. 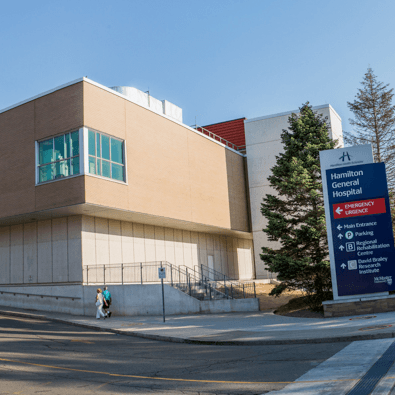 The clinic is located in the Neuroscience Ambulatory Centre at Hamilton General Hospital. Patients are seen in an outpatient clinic setting. You do not stay overnight in the clinic. Appointments can take up to one and a half hours. Nurses: The nurse will give you information about MS and treatments that you may receive. They will help to assess you during your visit. They will also assist you with navigating health resources. Social Worker: The social worker in the MS Clinic can aid with coping, navigating the health system, and finding community supports. Clerks/Secretaries: The clerks help manage and run the clinics. You will speak to a clerk when you call the clinic. They may ask for more information, or may call you with an appointment or instructions about tests. The MS clinic primarily serves patients from the Hamilton Niagara Haldimand Brant LHIN and the Waterloo Wellington LHIN. Patients in other areas where there is limited or no service will be seen, as well. A physician referral is required to be seen in the MS clinic.